I'm not sure why I put these down. I LOVE the pattern and I'm having a great time working on them again. 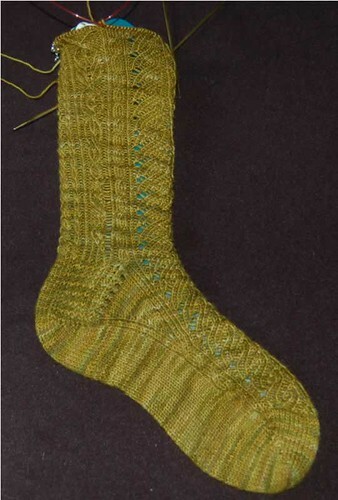 This sock will be finished in the next day or 2 and then I will cast on its mate.